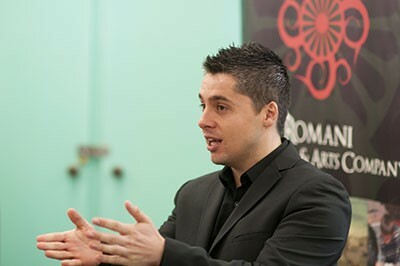 As Executive Director of the Romani Cultural & Arts Company (RCAC), Isaac has developed arts and performance programmes on Gypsy and Traveller caravan sites with young children and adults, worked in schools and colleges, and promoted arts as a medium for empowerment and advocacy throughout Wales with Gypsy, Roma and Travellers. He has engaged widely with non-Gypsy communities to promote dialogue and improve social cohesion. His leadership and management of the RCAC has seen the organisation grow from a small voluntary group to a major third sector (NGO) agency that leads the Romani and Traveller field in Wales and is one of the major players in Romani and Traveller advocacy and empowerment in the UK.